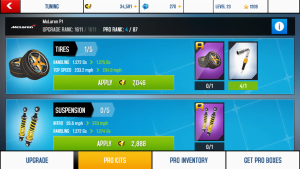 Asphalt Xtreme Tips, Cheats and Strategies – Gamezebo, Asphalt Xtreme – Tips and Tricks Guide: Hints, Cheats, and Strategies, Asphalt Xtreme Tips & Tricks, Hints & Tips Asphalt Xtreme Super Cheats,Asphalt Xtreme Tips & Strategy Guide to Win More Races, Guide for Asphalt Xtreme tips – Android Apps on Google Play…. Asphalt is the brand from Gameloft that we hear generally while discussing or talking about games, there are many features which Asphalt series provides rather than any other game service providers, there are many features such as different tracks (mountains, jungles and city roads), car ailments, different class cars, events, car mastery that we can go on telling. 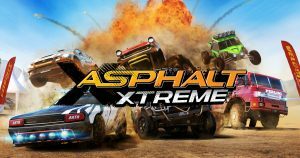 Asphalt: Xtreme is the new game in the Asphalt series with coolest interface and many more additional features to Asphalt: Airborne, As i am a player of Asphalt: Xtreme i could share some of the tips and tricks that may come in handy while playing Asphalt: Xtreme. Every time we need spend the credits we get to upgrade the car, there some free giving cards called tech cards, these techs are from range normal to rare, by using these tech cards we can get upgrades, the normal tech cards are easily available and has a low credit value, we can obtain these tech cards from the boxes which will be available for every 4 hours and 24 hours, there are special which gives rare cards only by completing missions. We have a problem in tilting the phone which is default, but there more two options in Asphalt steering control and tap to steer, tap to steer is the easiest way to drive while steering is the hard, so if you feel any mode is hard just try to change it, the manual accelerating button is also provides on the tilt side so that you may slow down when you require it. there is another tip to earn free tokens, these token can be obtained by watching videos, the watch video option can be seen in the main menu at the bottom, when you open main menu you can see the option and click it, if the does not load then there is a fault in loading i.e. the network is not good, so maintain a good network while streaming. the next comes usage of nitro which is very difficult, to maintain a good nitro you should learn two thing, one is to use a single nitro at the short turns and the next is to use a long nitro while taking a long turn, making nitro economical is very hard as experience teaches. moreover when you are progressed in the game you can compete with other players for higher rewards and even the number of star gets increased so, new seasons can be unlocked. mastery series can only be unlocked after owning three cars, as though they are difficult races they let you to win tokens which are important currency in the game and also credits as usual. if you are out of nitro then run into any obstacle and destroy while doing so you gain nitro. rally cars are better to go when you want high speed and a good usage of nitro as they have good american body.